Lowest Cost Online Gold and Silver Dealer in the US. It started with two doctors and one dream, educating the masses on the value of hard assets including gold and especially silver. The Doc's Lowest Price Guarantee and Customer Satisfaction Guarantee ensure a great purchasing experience with SD Bullion. It started with two doctors and one dream, educating the masses on the value of hard assets and preparation. SilverDoctors.com, founded in March of 2011 by two medical professionals, has quickly become a rallying point for the most intellectual of individuals to discuss the precious metal market and current world events. In the first year of existence, SilverDoctors.com progressed from 5,800 pageviews in the first month of operation to over 750,000 monthly pageviews as of March of 2012. The website has become a favorite among many respected silver analysts and investors including Jim Willie and billionaire silver investor, Eric Sprott. In a recent interview with Eric Sprott, Eric Sprott stated that he visited SilverDoctors.com every day and recommended listeners to do likewise. 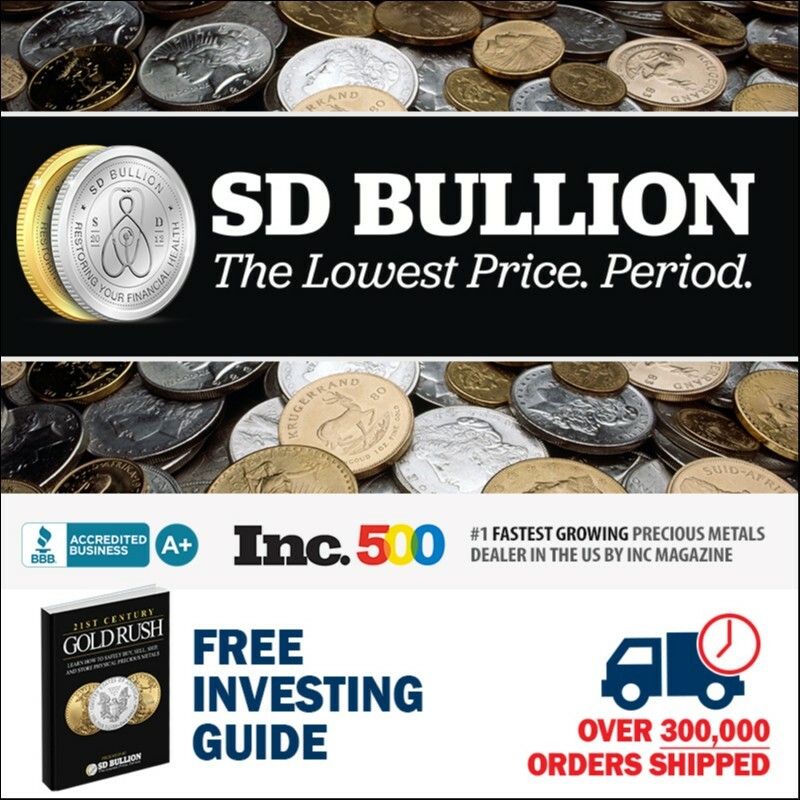 We are determined to educate others on the value of protecting your financial assets, so much so, that we launched SD Bullion to help others invest in precious metals. SD Bullion debuted in March of 2012 as a service to our readers with the goal of providing the lowest cost bullion available. All sales were completed via telephone with the motto, “Nothing Fancy. Just a Telephone and Low Prices.” More importantly, buyers were 100% satisfied with their gold and silver bullion transactions according to a post purchasing survey. An online website purchasing option was added in the later part of 2012 and SD Bullion has continued to gain industry market share to where we stand today as one of the premier, low-cost online bullion establishments in the country. In fact, Inc Magazine named SD Bullion the 177th Fastest Growing Company in 2017.